Bhutan is a small kingdom that is largely untouched by the outside world. To this day, it is one of the most beautiful and the most pristine regions in the world. Technology such as television and internet did not enter the nation until 1999. It is one of the most isolated nations in the world. As a result, not many people knew of Bhutan’s existence until quite recently when the Bhutan monarchs decided to seek United Nations membership. These days, Bhutan is increasingly becoming more and more popular for tourists. Yet, it manages to keep themselves pristine. The remoteness of Bhutan is a part of the reason why Bhutan is untouched—and not just seemingly. 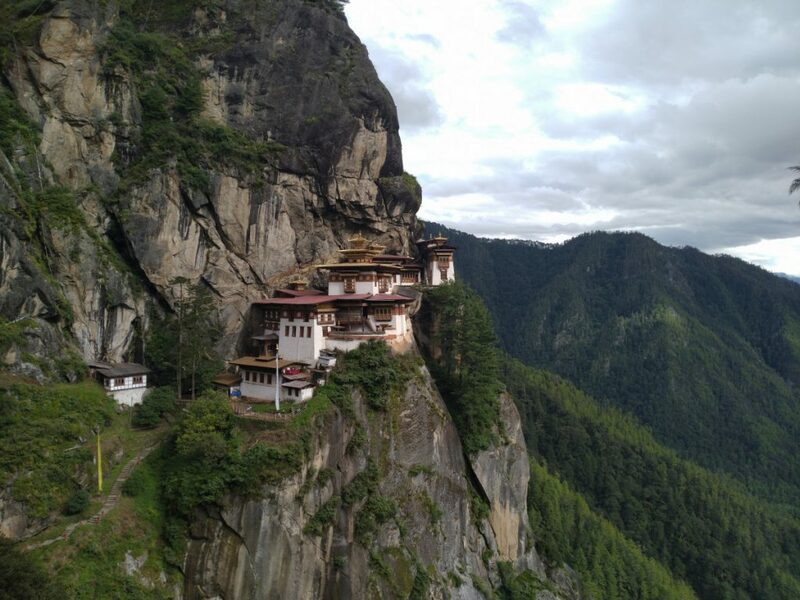 Bhutan is secluded in all sense of the word. And this has allowed the nation to survive in isolation. But it does not stop there. Bhutanese people seemed to isolate themselves from the rest of the world for much of their existence. The Bhutanese people practice Buddhism. And many of the Bhutanese lands are areas of spiritual practices. Places of meditation and other religious routines are in abundance in Bhutan. This is one of the reasons why Bhutan is a very peaceful place. The Kingdom of Bhutan is one of the very few Asian nations that has never been colonized in history. Part of it again, thanks to the geographical nature of Bhutan. The natural fortresses surrounding Bhutan help Bhutan’s defenses and maintain its sovereignty throughout centuries. Thanks to this, now we can enjoy Bhutan in its all unspoiled beauty. Bhutanese culture is so enduring during the centuries that the nation has existed. This, again, is largely thanks to the protection offered by the Bhutanese geography itself. When people say it’s a hidden gem, it is a hidden gem. Bhutan is tucked away between the Tibetan Chinese area as well as India. While being in a landlocked country is generally viewed as a disadvantage to the outside world, in Bhutan’s case, it has largely protected it from the outside influence. Gross Domestic Product is not the only thing and in fact, not the dominant aspect the Bhutanese are focused on. The idea of Gross National Happiness was conceived by Jigme Singye Wangchuk, Bhutanese king who reigned since 1974. Although this concept is in nature, ultimately difficult to define, to measure, and to see evidence from, the idea is a novel one. And it’s one of the most attractive aspects of the Bhutanese culture. Naturally, the very idea attracts tourists as International appreciation comes. Bhutan is the only place in the world where this is the case. So how is the traffic regulated? By humans, of course! It’s been noted the time and again that Thimpu is the capital of human traffic lights. Curious to experience this? Maybe it’s time for you to do further research until you decide to finally book your Bhutan experience through their authorized local tour agent.